Gary Low, PhD, is Professor Emeritus of Education, Texas A&M University-Kingsville, Consulting Psychologist, Patron and Life Member, Forum for EI Learning (FEIL) in India, and Principal, EI Learning Systems, Inc. He is Founder and faculty member, Emotional Intelligence Training & Research Institute (EITRI) and has served as professor, department chair, director of major programs, and dean at Texas A&M University-Kingsville. He has developed and taught EI courses for first-generation college students, graduate, and doctoral students, and has provided workshops and seminars on the development of affective skills for over thirty years. In 2008 Dr. Rick Hammett helped start and remains a principal in Emotional Intelligence Learning Systems, Inc. with Dr. Gary Low. In addition to his work in EI Learning Systems and the Emotional Intelligence Training and Research Institute® (EITRI®), Rick teaches graduate research courses and supervises doctoral research for Walden University, where he serves as chair, methodologist, and university research reviewer. He also teaches online graduate courses in adult education for the University of Houston-Victoria and Texas A&M University-Kingsville. 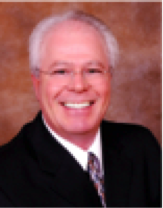 Rick has co-authored articles, books, and a book chapter on EI-centric transformative approaches for education and is a co-creator of the Personal Excellence Map® (PEM®, Nelson, Low, & Hammett, 2007). Rick is a founding faculty member of EITRI (see EITRI.org) and executive editor of EITRI’s journal, The International Journal of Transformative Emotional Intelligence. Thank you for your interest and consideration of our transformative approach to emotional intelligence as a learning resource for performance improvement. From the very beginning of our research and work with personal and emotional skills in 1977, our approach has been positive and grounded in the belief that individuals have the capability to be and become healthy and highly successful in their career and life. The Skills for Career And Life Effectiveness® (SCALE®) is one in a family of proprietary positive self-assessment instruments we have developed to quantify the essential skills of personal, academic, and career excellence. Used by 2018 ISPI Geary Rummler Awardee Margo Murray, the SCALE® is the positive assessment process that we have developed to quantify and operationalize a structure for teaching an EI-centric approach for developing performance excellence. The extensive interpretation content included with your SCALE® profile are based on Margo’s 30+ years of experience working with our positive assessment products. Emotional Intelligence (EI), as briefly defined in our transformative educational theory, is the learned and developed ability to think constructively and behave wisely. Our book, Emotional Intelligence: Achieving Academic and Career Excellence, identifies and teaches the skills essential to high levels of academic achievement, career effectiveness, and personal well being. We developed our positive assessments and learning tools as valid and reliable measures of the higher-order cognitive, affective, and behavioral skills that learners need to be successful in the global economy of the 21st Century. • Provide a positive working/learning environment with the opportunity to teach and learn from one another. • Present our transformative approach to EI within the larger context. Answer the question, why do we need a transformative approach to EI? • Introduce an EI leadership theory that can be used through action learning to develop performance in positive ways. • Introduce an EI-centric and research-derived, positive assessment process (the SCALE®) for performance improvement. • Present an education process based on our Emotional Learning System© for integrating the SCALE® (or other positive assessment process) to develop self and others in personally meaningful ways. • Your own personally meaningful EI profile of SCALE® skills and skill sets （which means you will get one free EI assessment!）.Registered attendees will receive an email with a link to the EI assessment a few days in advance of the event. • Provide a fluid and systematic process for developing EI skills based on the Emotional Learning System©. • A practical process for developing a personal vision that is congruent with your personal and organizational goals. • A practical example and process for selecting EI skills based on HR challenges in order to develop both individuals and the organization in positive ways. • Share methods for continued learning. We look forward to spending time with you sharing and learning about performance improvement applications for transformative EI.